I jumped on the Copic bandwagon. And let me tell you, it's the best bandwagon I've been on in awhile! 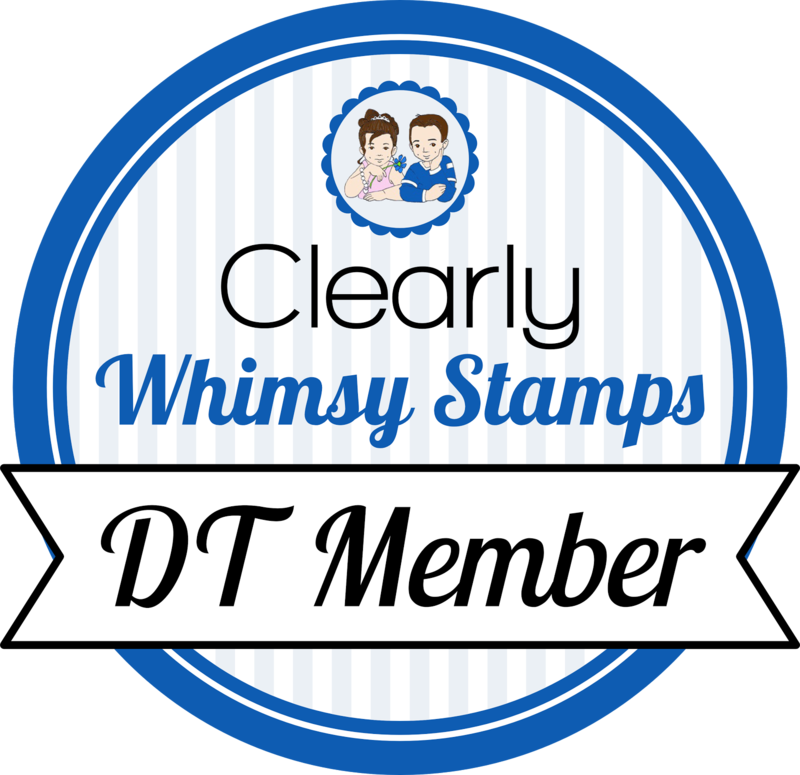 They are as terrific as everyone has said, and I am having so much fun with them. I got them a couple days ago, and just today had a chance to sit and play with them a bit. 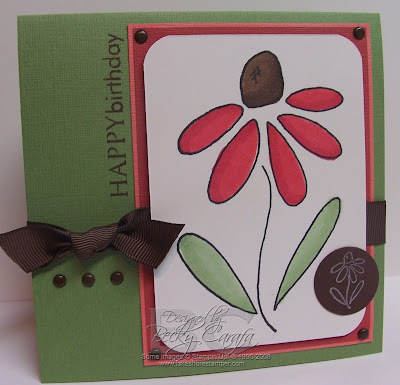 I stamped the coneflower in Palette Noir ink and heat set it. I colored the flower with my Copic Ciaos, rounded the corners, popped it up on dimensionals on a mat of ruby and coral. I added chocolate brads in the corners, a small coneflower medallion stamped in craft white, chocolate ribbon, a sentiment, and a few more brads to balance out the layout a bit. Beautiful card!! The colors are gorgeous together! Have fun with your new copics! I love this image!! Your cards are beautiful. Aren't Copics everything they say they are? I love mine!! I'm still holding out, I just don't know how much longer I can wait. I love the colors and that flower is just so pretty. very nice. This is so sweet! Lovely coloring job. Beautiful card!! I love the image and the colors are great!! I just received my copics (bday present to myself) and I am loving them- still learning but they are wonderful!! Very cute. I'm trying to resist the Copics Becky and you aren't helping! I just got copics as well! But you color like you have had them forever! Beautiful! Love how you've used the Copics, too!